Has US Turned Afghanistan Corner? The US has long resisted talking to the Taliban. But as the July 2011 drawdown date approaches, it’s running out of options. According to press reports, the talks—held in Kabul and in Dubai—involved representatives of the Quetta Shura, the Taliban leadership council based in Quetta, Pakistan. Other reports said that Afghan President Hamid Karzai’s government had also held face-to-face talks with a second major component of the insurgency, the militant group led by Sirajuddin Haqqani, based in North Waziristan in Pakistan’s tribal areas. And earlier this year, a delegation from the third major faction, the Hizb-i Islami led by Gulbuddin Hekmatyar, visited Kabul with a 15-point peace plan. 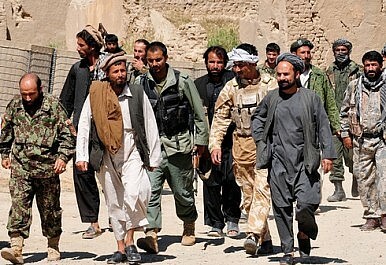 With Obama’s July 2011 deadline for the start of a US drawdown of forces in Afghanistan just nine months away, it appears that the United States is now actively exploring the possibility of a deal with Afghanistan’s armed opposition. The decision to talk reflects growing pessimism in Washington that the tripling of US forces over the past 18 months will succeed in its goal of ‘degrading’ the Taliban-led insurgency. In fact, that very deadline might work as an incentive to bring the Taliban to the table, since the withdrawal of foreign forces from Afghanistan has long been the Taliban’s principal demand. Indeed, when Hekmatyar’s delegation visited Kabul, his spokesman averred that the July drawdown could serve as a starting point for talks about a US and NATO withdrawal. Previously, the administration argued that the Taliban wouldn’t come to the table unless it felt that it was losing the war, and it designed a strategy to deliver punishing blows to the insurgency in order to convince its leaders that they’d have to accept US terms for ending the conflict. The administration supported only ‘reintegration,’ that is, the defection of low- and mid-level insurgent leaders to the Afghan government on a district-by-district basis. But it opposed ‘reconciliation,’ meaning a political accord with the most senior leaders of the overall Taliban movement, including the Quetta Shura leadership. Now, that’s changed. Since 2009, Karzai has vociferously supported reconciliation, especially since an initiative he launched at a conference in London in January of this year in which he promised to reach out directly to the Taliban. Karzai’s initiative caught the United States off guard, and during the first half of this year the Obama administration clashed sharply with Karzai over the idea of talking to the Taliban. But Karzai persisted, convening a peace jirga last summer and then, in September, appointing a 70-member High Peace Council, led by former President Burhanuddin Rabbani, to seek a deal. Decision Time in AfghanistanIt Just Got Worse in AfghanistanHow to Solve AfghanistanAfghanistan-Pakistan Border: Back to Politics as Usual?Peace in Afghanistan: Will Pakistan Play Ball?